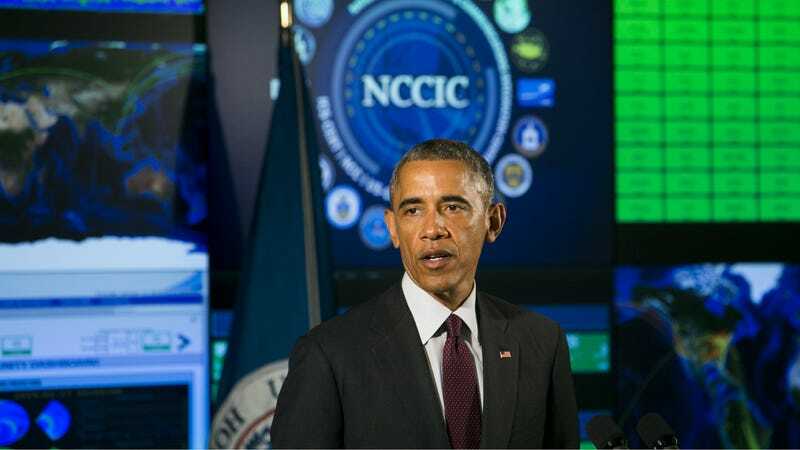 On Sunday, the New York Times published a seemingly routine report about Obama’s cyber offensive strategy. Hiding halfway down the page, however, there are some fascinating details about the decision-making process behind a potential US cyber retaliation against Russia. Obama, obviously, is at least slightly annoyed with what seems like Russia trying to screw with the election by hacking and leaking emails from the Democratic National Commission and high ranking Clinton campaign staffers like campaign chair John Podesta. Russia has also reportedly probed some election security systems. There are clearly some mind games going on here. After all, feds wouldn’t just leak this to NBC because they felt like it. It’s one way to send a warning to Russia about the potential repercussions for any election day shenanigans, for one thing. The Times also reports that the folks over at Dyn, who operate a part of one of the internet’s major systems, DNS, are prepping for a potential election day attack in wake of the massive DDoS attack that hit them a couple weeks ago. The DDoS attack on Dyn’s DNS servers was so severe that major parts of the internet were not accessible for most of Friday. After election day, the real question becomes how exactly will the US respond to to Russia’s election related malfeasance. What kind of attack constitutes a “proportional response” to Russia’s alleged hacking and leaking of emails? Could an attack on Russia simply escalate a a brewing cyber war? One thing is for sure: Obama is making decisions in what are essentially uncharted waters.